Every professional writer uses his or her experience in writing. For some, the writing skill “is in the blood” so to speak, but for many, the ability to write comes mainly from years of painstaking practice. To write like a pro, you must first learn the language required for the use of your writing skill. Writing is both a skill and art–that is, from the vantage point of a professional writer. As a skill, the writer learns about the language, and in the case of the global tongue used today, English is the dominant language used. American English is a language that you have to master if you want to write like a pro. Once you learn the English language well and assuming you are in the right age to write, then you can proceed to start reading first what others have written. Reading a book, magazine and, or a newspaper article can enhance your mastery of the English language. Read an article that interests you. Once you have learned the language well and have sufficient background of the various issues from different publications, start writing about yourself. Why would one start with oneself? Well, its because you know yourself better than anyone else. Try to give it a shot by writing a straightforward autobiography about yourself. After you have done this, let a friend read your autobiography and see how your friend would react to the article. Have others read your article and get their feedback. If you are satisfied with their reaction, you can then search for topics where you can write. Always try to improve your writing. Self-correction is a way of improving one’s writing. If you have some experience in writing and are engaged in a writing project, learn how you can use the built-in features of the software you are using. The basic is Microsoft Word of course, but there are many writing apps right now that can make you write like a pro. Among these are Zoho Writer, ProWritingAid, Scrivener, Evernote, yWriter, Fade IN, LibreOffice, Ulysses, Writer, and AP Stylebook. However, learning how to use every app to enhance your writing ability could be time-consuming, and could deprive your writing production of the original creativity that you have. Learning to write without fear is a step towards opening that creative self you have kept for years. It means you should not be afraid of making mistakes and be brave enough to face the criticism of others. 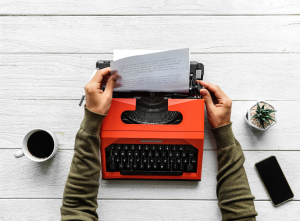 While sloppy writing can be made a pro by using a sleek writing app, nothing can beat a well-written piece based on the built-in experience of the writer. It means that while there are existing apps to save you from all types of writing troubles–from spelling to grammar mistakes–you should avoid being over-dependent on the apps. Writing like a pro is a personal situation that requires making decisions related to syntax, semantics, and style of presentation. You need to show off your creative talent in writing. An app may advise you to switch words or phrases, but if you feel that only “this” particular word or phrase can best show the world about what you want the world to know, then, by all means, stick by your decision. In the end, it’s practice that can make you write like a pro.